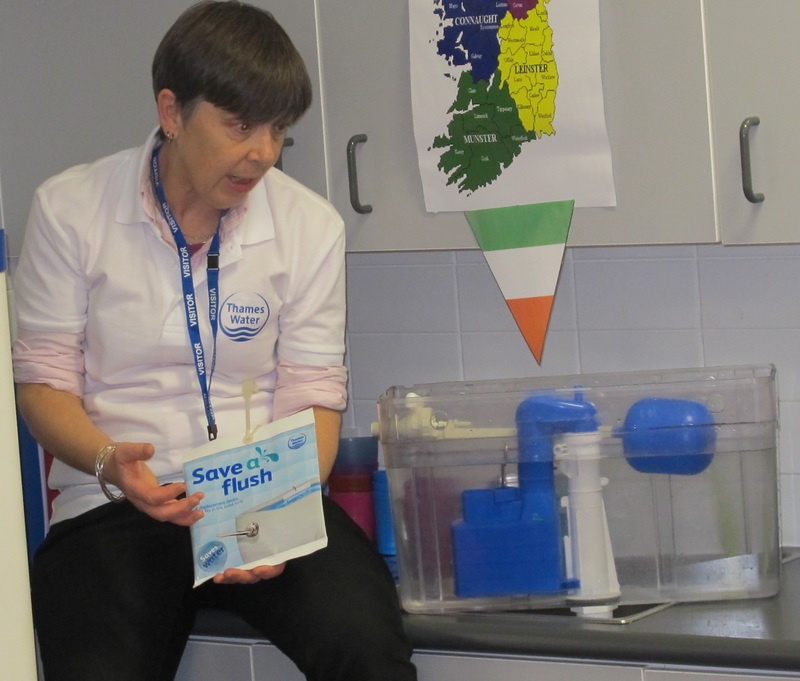 Working in partnership with Thames Water, ech2o has successfully delivered “Be Water Aware” assemblies and workshops to over 22,000 pupils and 1,150 teachers in 85 schools over the last four years. We have worked in-depth with 11,530 pupils across all key stages, delivering a series of different workshop choices about using water sustainably. 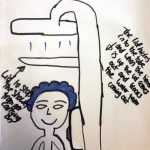 Thames Water realises that, as well as helping schools to save money by retrofitting water efficiency devices and identifying leaks, it is also important to teach pupils about why we all need to save water. This is a package programme, so schools need to sign up to the free water workshops to be eligible for the water efficiency upgrades. This is the fifth phase of WESP. The previous four phases were a great success. 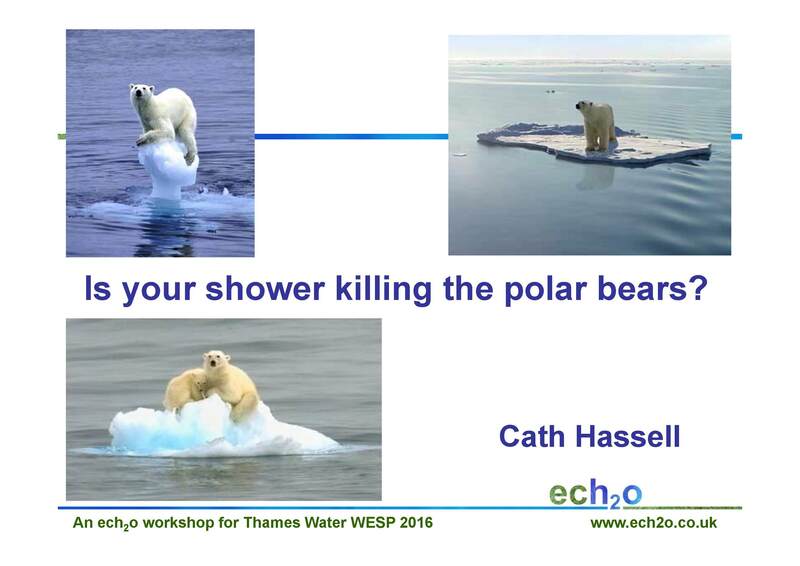 ech2o visited 60 primary schools and 25 secondary schools predominantly across Enfield, Hammersmith, Hackney, Haringey and Waltham Forest. Pupils and teachers thoroughly enjoyed the workshops and significant water savings were reported in the majority of the schools. Schools can choose between a series of different workshops. We will contact Thames Water to arrange the audit and the water efficiency upgrades. 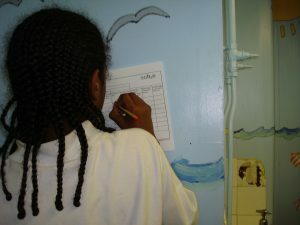 The school receives a useful water audit, great water efficiency upgrades, and fun and informative water workshops! It has been great to receive feedback from teachers, pupils and parents each year. 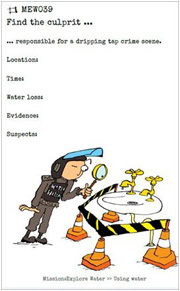 prepare an assembly about what they have discovered. find out the best behavioural changes to reduce their family’s water footprint. Pupils get a shower (or bath) timer, stickers and badges. demonstrate the bits of kit that have been invented to make them work even more efficiently. Pupils who don’t have a dual flush receive a free save-a-flush bag to fit in their WCs at home saving on average 5000 litres of water per family per year. 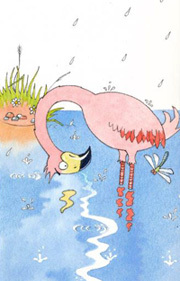 A workshop for pupils in Years 3 and 4 that builds on the story of Clarence, one of the stars of ‘The mysterious case of the sinking flamingo’, a crab who doesn’t like poo on his head. Pupils learn why and when this still happens in the UK, and the simple things that can be done to prevent it. Includes a walk around the school grounds to see if space can be found for a rain garden. Identify solutions to reduce rainwater run-off from the school premises. This workshop builds on the student’s knowledge of the hydrological cycle and the causes of global warming. 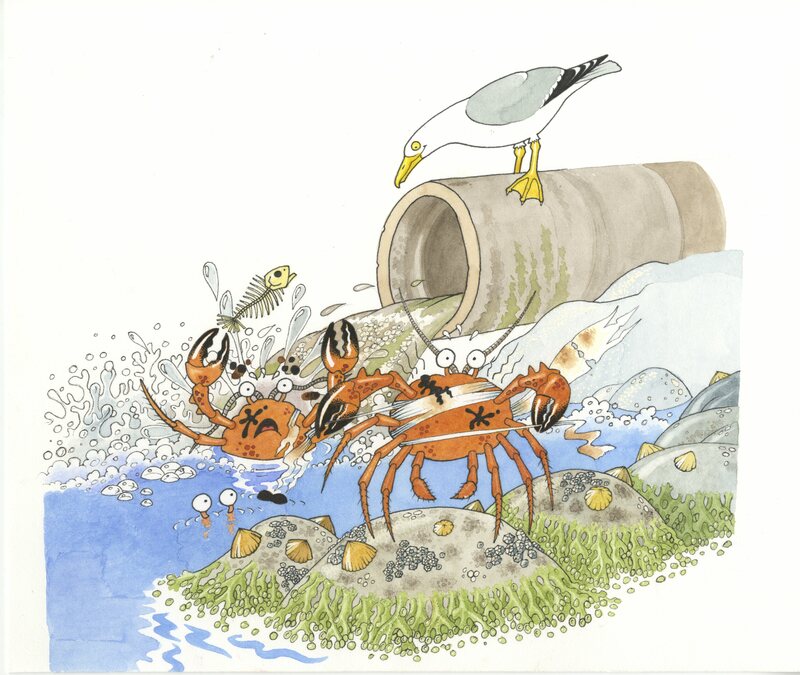 About the environmental implications of water and sewage treatment in the UK. Why the UK is under water stress. How sustainable drainage solutions and water efficiency strategies link into the UK’s environmental goals. How personal water choices impact on climate change. The link between hot water and increased CO2 emissions. 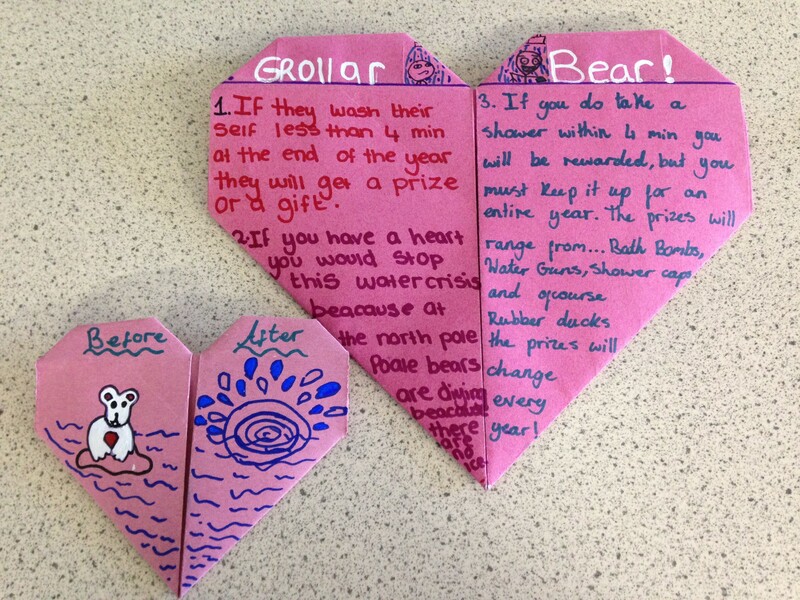 Initially designed and delivered for Year 10 Geography and Year 12 Applied Science pupils as a bespoke workshop. Later adapted for Years 7 and 8 Geography. Pupils learn about the environmental implications of their water use and the link to CO2 emissions. 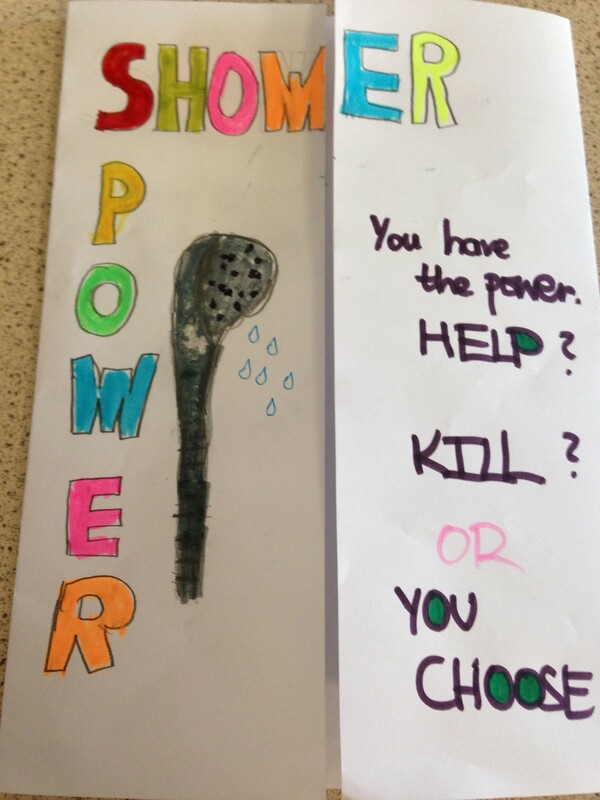 Pupils record their water habits and discuss what would motivate them to shower for less time. Pupils decide how they can inspire their friends to do the same. Workshop has been delivered in various formats including a classroom workshop to Year 11’s, as part of a PSHE immersion day and as a lunchtime stand with the school leadership team, on a whole school science and engineering immersion day. We are aware that different schools have different requirements and aim to be as flexible as possible to fit in with your preferences. We can work with one particular year group or across year groups, with whole classes or small groups. We have worked with pupils of all ages from reception class through to sixth form and all years in between. We ensure that the delivery style and information is age appropriate, although the topic (sustainable water) remains the same. All handouts and PowerPoint presentations are left with the school. Please contact Cath Hassell or Tahirah Sahrif if you have any questions, would like more details about the workshops or would like to sign up. We look forward to working with your pupils soon.